Product information "Block Stripe Grenadine / Garza Piccola Silk Tie - Forest / Grey / White"
Stripes really enhance the appeal of a grenadine tie, elevating the textural richness of the tie. Something that true connoisseurs will appreciate. Goes well with our white and red bengal stripe shirt, ukiyo-e printed pocket square, and espresso barathea braces. 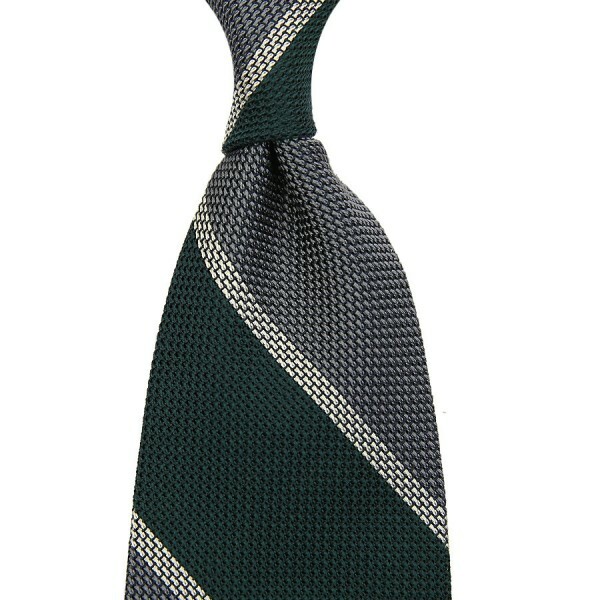 Related links to "Block Stripe Grenadine / Garza Piccola Silk Tie - Forest / Grey / White"